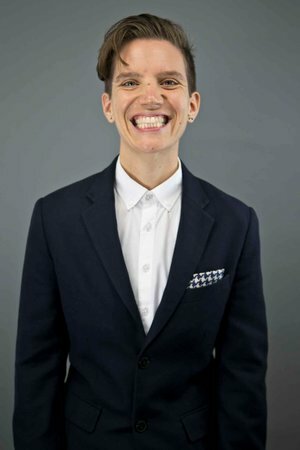 Jessie Workman is a 2017-2018 Pride Law Fund Tom Steel Fellow, and currently leads the Pathways Project, an initiative addressing the over-criminalization of LGBTQ and gender nonconforming youth. Prior to joining Youth Represent, Jessie co-founded BREATH, a poetry and performance series for youth incarcerated in Albuquerque, New Mexico. Jessie also worked at Youth Shelters as a life skills coordinator, and program manager for Civic Justice Corps. Jessie is a graduate of CUNY School of Law, where she was a Kyle Jewell fellow, and represented clients in the Criminal Defense Clinic. Jessie received a B.A. from Antioch College.